1 With decentralization, where is the money? 7 What should an investor know before buying ether, the crypto currency like Ethereum? 8 How does the ether market work? 9 How does mining affect the price of ether? Ethereum is a decentralized platform that allows anyone to create and publish their own applications under a set of rules set in the code of the application itself where smart-contracts will play an essential role. To work in the Ethereum network, Ether will be used, so that everyone understands it. It is the fuel of the whole Ethereum network. These Ethers will make Smart-Contracts (smart contracts) run. From here we can begin to perceive that Ethereum is not in itself a coin project, or that its Ether are, but that it will be the energy that will cause the whole network to move. 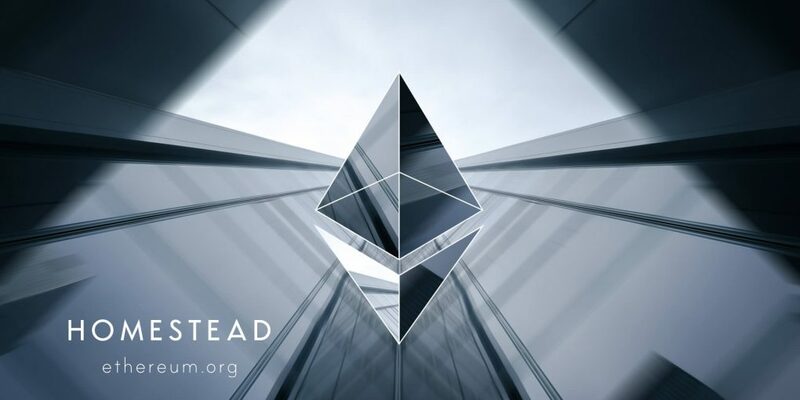 The idea of ​​this post is to have everything organized in the successive Threads that I intend to open to discuss each of the important issues of Ethereum. This will be the thread of general discussion and the other threads of information and progress. That said, the first point to look at to begin to understand Ethereum and other Bitcoin, AppCoins, Dapps or as each one wants. William Mougayar is a Toronto-based investor-angel and entrepreneur who advises new companies on strategy and marketing. Here, it talks about where the monetization of the decentralized business models is. If we are to strictly follow the basic principles of bitcoin decentralization, very little or no money should be made for the central points. Bitcoin, is a system that itself decentralized and autonomous perfect ecosystem today. And its center is poor, because it is non-existent as an entity. All revenues / profits are made on the edges of the Bitcoin network. So, if we are to reflect bitcoin, we must remain faithful to its decentralized characteristics and properties; not only as a matter of principle, but as a matter of operational integrity. As it evolves, decentralization is not something that is or is not. It is still not a black or white situation. There are different flavors, nuances and degrees of decentralization. It is becoming something we aim to achieve over time, not day to night. You may check the “ideal” framework for distributed blockchain, and it is not so easy to get there. Later will be post more in Futurescope. We believe or practiced that nothing happened without central authorities or central powers or central regulations, or central approvals. With decentralization, it is quite the opposite. Everything happens at the edges and at the nodes near the peripheries of the general network. With decentralization, a central point is not first created; you create a platform that allows the network to flourish where there are the “central points” of attention, which are nodes and peripheral users. We must not spoil or compromise the concept of decentralization by choosing and choosing which characteristics we want to adopt and which we reject. And “from equal to equal” means “equal to equal”, that is to say, with no one in the middle that slows, delays or tries to simulate P2P. Unlike Bitcoins, the creator of Ethereum has a name and surnames and does not hide. Vitalik Buterin began the development of Ethereum in late 2014. In order to finance the development of the project, Vitalik sought public funding for something more than 18 ethereum.orgmillion dollars. Before focusing on the Ethereum project, Vitalik was writing on different blogs about the Bitcoins, which was when he began to develop the options that the technology that Bitcoin uses could offer him and that until that moment was wasted. Cryptocurrency, where Bitcoin is the king with almost 50% of operations. Ethereum would be, therefore, a new computer innovation created of the pioneering technologies and concepts of Bitcoin, since, it is based on the technology of the chain of blocks (blockchain) and the networks between pairs (p2p) like Bitcoin, but that intends Become more than crypto currency since, while Bitcoin makes use of the technology of the block chain to publicly and decentralize all bitcoin transactions but with a series of very limited programming commands, Ethereum implements the technology of the chain Of blocks to become a shared computer platform that allows the creation of different decentralized applications, including those of the crypto currency, but not only these, but allows to create applications with its own programming language with anything that is programmable. To better understand it, if Bitcoin is a blockchain platform that allows the transactions of crypto currency, Ethereum is a blockchain platform that allows transactions of anything. And if Bitcoin allows you to send money (in the form of bitcoins) between two people without the need for a central entity in that transaction, then Ethereum allows you to transact anything that is programmable, with any person, without the need for an authority central. Ethereum makes this possible thanks to smart contracts, which become the programmable units of the network. These smart contracts are executed by the Ethereum network itself and can interact with other smart network contracts to run more complex applications. In addition, just as in Bitcoin, a double bitcoins expense cannot be executed because each transaction is registered with a time stamp in the block chain, in Ethereum the rules of a smart contract cannot be broken because all of them are registered in Its chain of blocks. Ethereum programming language is “Turing complete“, not against Bitcoin. That a programming language is complete Turing only means that it is completely apt to program what you want, in contrast, the programming language of Bitcoin has a series of very limited commands that had been defined thus to avoid possible attacks to the network. To this day, they are two completely different networks in search of a use model. Apart from what we are going to explain next it must be clear that Ethereum is also a cryptocurrency. It has some very technical differences with Bitcoin, such as the algorithm used, the block time, the calculation difficulty and the prize per mine. But the really differential, as currency, is that in the case of the Ethers there is no defined maximum number. This implies that the Ethers are not a deflationary currency, like Bitcoin. With Bitcoin someday you will reach the maximum circulation and there will be no more. This will make the goods and services that are bought with them will be lowering in price. This is a problem for an economy. It has its advantages, since inflation is very dangerous, but so is deflation and Bitcoin is clearly deflationary. With the Ethers this is not so, there is no limit and will continue to be created indefinitely whenever there are users on the platform. Thus, while Bitcoin is much used, Ethereum’s currency has a much more consistent basis for replacing traditional currencies. But as I said before there are many cryptocurrency with these characteristics and the boom that we are living with Ethereum is not because it is a currency. In order to avoid infinite accidental, hostile loops, or other computational waste in the code, each transaction is required to set a limit to the number of computational steps of code execution that it can use. “GAS” the fundamental unit of computation. A computational step costs 1 gas generally, but some operations cost higher amounts of gas because they are more computationally expensive, or because they increase the amount of data that must be stored as part of the state. There is also a 5 gas fee for each byte in the transaction data. The intent of the commissions system is to force an attacker to pay proportionally for each resource they consume, including computing, bandwidth, and storage. Therefore, any operation that leads the network to consume a greater amount of any of these resources must have a gas commission more or less proportional to the increase. Thanks to Ethereum contracts can be made that if the written conditions are met will be fulfilled if or automatically without a third person having to give the approval. The condition for fulfilling the conditions can be selected between the sources that both parties establish. The banking system is one of the most interested in being able to adopt this type of contracts to automate the contracts of deposits and others with the clients, since it would avoid possible human errors besides allowing an autonomous operation. Imagine that you have a portfolio of securities in which you have established the condition if the price of a certain value reaches the X figure are sold automatically. With a smart Ethereum contract no person would have to intervene, no one has to be aware of the quote at all times to proceed to sell the shares upon reaching a certain value. Although everything looks and is very nice, it should be noted that these types of contracts cannot be modified so once included in the registration only if you can cancel if a condition has been established that allows it. Neither can modify the terms of the agreement, since as I commented blockchain is a record that cannot be edited or modified at any time. What should an investor know before buying ether, the crypto currency like Ethereum? The growing relevance of blockchain technology seems, at this point, unquestionable. Bitcoin has so far been the investment that has attracted more interest in this area. But Ethereum’s blockchain technology is stirring up a lot of interest in recent months. With a successful crowdfunding campaign going on until May 28, in which interested investors can get DAO tokens, in exchange for Ether, and which has now raised $ 143 million in Ether, it seems important that possible Investors, understand some important questions about Ethereum before you can assess the benefits and risks of adding Ether to your investment portfolios. In short, Ethereum is a platform for decentralized applications created by Vitalik Buterin in 2014. The beta version of Ethereum was released in July 2015. When we talk about Ethereum, we mean a protocol, a platform, a programming language that are born with the aim of allowing the creation of decentralized applications running on blockchain technology to achieve a decentralized world computer: that is, a network of programmable computers worldwide that anyone can upload and run programs under Solid shared consensus rules. This is possible thanks to smart contracts and as the programming language of Ethereum is “Turing complete”, it means that it is completely apt to program what you want. All this works with a token that has the function of being gasoline of the network: ether. Unlike bitcoin, the ethers have not been created to become a decentralized global digital currency, but to pay for the actions that are developed in the applications of the Ethereum network. How does the ether market work? Currently the ether market is facilitated by many of the same exchanges and infrastructure created around the Bitcoin network. Currently, for example, Kraken and Bitfinex, two of the most important exchanges in the Bitcoin network, offer the possibility of buying and selling ethers to their users. But the ether market is not the same as the Bitcoin market on many issues. The initial difference is found in its origins. In the Bitcoin network, the delivery speed is more consistent. Due to the non-modifiable standards in the software there will be only 21 million bitcoins, and the speed at which the new coins are produced is currently 25 BTC every ten minutes or so, although in a few months it will be 12.5 BTC. There are currently 15.5 million bitcoins in circulation. Ethereum, however, created a foretaste of its tokens in 2014 in a crowdfunding campaign, with which it raised $ 18 million. The donations collected for this pre-sale were the driving force behind the initial offer of 72 million ethers (ETH) and the subsequent ethership fee. In addition, the Ethereum protocol allows the creation of 5 ETHs per block resolved. In any case, the creation of new ethers is limited to 18 million more ETH each year until 2017, at which time a new consensus algorithm in the Ethereum network is expected to work, and although it is still under development And it is not known the generation of new ether that carries implicit, is expected never to exceed this annual amount and even much less. There are currently about 80 million ether. How does mining affect the price of ether? One of the biggest factors in the price of Bitcoin is the constant introduction of new bitcoins in the market with which the miners are encouraged. Mining affects the price of bitcoin by increasing supply, and by the miners’ decision to maintain or sell bitcoin. In the current version of Ethereum, Homestead, uses a proof of work algorithm to reward the miners who contribute to securing the network in the same way as Bitcoin. In this way the Ethereum miners create a new block every 15-17 seconds, resulting in the creation of 5 ETH (mining block reward). Mining miners who are looking for the solution, but who can’t include their block in the chain of blocks, receive what is known as a mining uncle reward that can be 2 or 3 ether. In 2017, when the Casper version of Ethereum is released, the consensus algorithm will be changed to one that is still in development, but will limit the emission of new ether. With this change in incentives, Casper is expected to be more efficient, but the change could also mean that the ether value is adjusted to the new realities of the network operation. With seven years of existence (and some important problems), the Bitcoin network is defended as the most secure block chain. Ethereum has been criticized for potential security issues for a number of reasons, and although most focus on the fact that the software is in an incipient stage as it is only available for one year. In addition, the Ethereum network has suffered fewer attacks than Bitcoin, and as a result, has been subjected to less testing. In addition the criticism that Bitcoin receives when mining is reduced to a small number of participants, in Ethereum seems to be repeated. In Bitcoin, five mining companies control 81% of the hash power of the network, and on the same date, five companies represented 85% of the hash power of the Ethereum network. And the largest ether mining company (dwarfpool) supplies 41.8% of the hash power. Though developers of the Ethereum continue to working on new versions. But critics assumed that the ether will have more security problems than Bitcoin. Something that can only be checked in the future. Since Ethereum is at a very early stage, the ether has experienced sharp price fluctuations. At the time of writing this information, the cryptocurrency had registered changes in a day of 31%; in a month of 16.7% and since its launch of 53.7%. And although these levels of volatility could be viewed with bad eyes by many investors, the truth is that these turns offer great opportunities for traders. Due to the strong volatility of the cryptocurrency, some traders speculate about their future price movements for profit. Others use ether as a cover in bitcoin, as well as other altcoins. CoinBase and CoinPayments: Both purses allow you to operate with (besides Ethereum) many coins, taking all your virtual coins in one place without having to go crazy with a different coin purse. CoinBase: Excellent coin wallet to operate with cryptocurrency. It allows to buy by credit card Ethereum, Bitcoin and LiteCoin. More information coming soon. CoinPayments: One of the best option to operate with cryptocurrency. CoinPayments has one of the lowest rates per transaction. I advise you to use this wallet to receive external funds. If you want a faster method, I advise you to use Changelly. You can buy Ethereum instantly by paying through Bitcoin with other wallets or directly paying in euros or dollars using a VISA or MasterCard credit card. The fastest way to earn Ethereum today is through speculation and / or investment. That is, follow the market price daily and take advantage of sudden drops to buy and take profits when prices rise again. Or if you have high hopes in this cryptocurrency make an investment and wait for the months and years, if it happens like the Bitcoin, the benefit is assured. On the other hand if you prefer not to risk or invest, there are some Ethereum faucets or PTC ETH page that will provide you with small fractions of Ether every few minutes. Maybe the amounts they give you will seem small, but as I said before, if in a few months or years the price of Ethereum continues to rise and multiplying their value those small amounts that you obtained through Faucets will multiply their value.